Rich in raw shea butter and natural and organic vegetable oils (sesame, castor oil, jojoba), the BISOU! 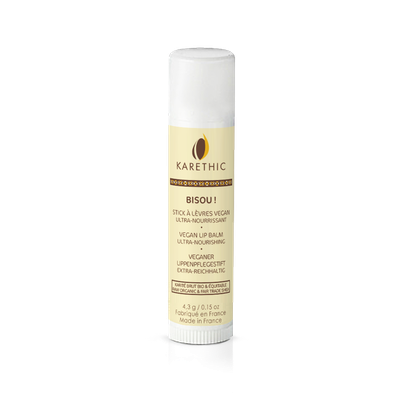 lip balm protects and nourishes lips in depth. Its melting texture is very easy to apply and sublimates your lips all day long. For very soft kisses, apply as often as necessary on your lips.